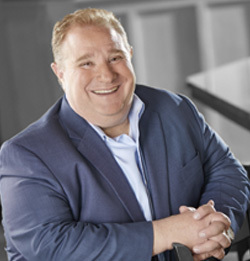 Christopher J. Artinian is President and COO of Another Broken Egg of America Franchising, LLC. While one of the newest members of the Another Broken Egg management team, Chris is a long-time veteran of the restaurant and franchising industry. Most recently he led TooJay’s Gourmet Deli, Bakery & Restaurant, where he served as the company’s President and Chief Executive Officer. Before that, Chris was the President and Chief Executive Officer of Smokey Bones Bar & Fire Grill for several years. But the majority of his distinguished career was spent at Morton’s Restaurant Group, Inc., where he started in the pantry kitchen. Chris held various positions as he rose through the Morton’s ranks before reaching the top as President and CEO, where he guided the company’s growth to become the largest fine dining brand in the world.